What a wonderful treat ‘The Signature of All Things’ is. 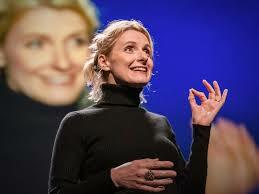 I was initially put off buying this book by Elizabeth Gilbert’s fame from the arguably precocious ‘Eat Pray Love’ but thank goodness I suspended my judgement because this novel is truly awesome in every sense of the word. It’s literary, compelling, different and spiritually underscored. It follows the life of Alma Whittaker a girl born at the turn of the century in the 1800’s to a father who has built an import export empire on his own steamy grit, taking no prisoners on the way. Alma is intelligent, diligent but not conventionally good looking and in no way destined for a typical life of a young lady of her time. I can’t do this book near enough justice with my review. Alma is such a real and complete character, the setting of Philadelphia is such an apt backdrop for this story and every step it takes you on just feels so right and most splendid of all where the story ends is so glorious for professional women. 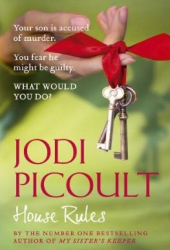 House Rules is Jodi Picoult’s seventeenth novel and the first Jodi Picoult book I have read. The title refers to the rules that govern the home of Emma Hunt and her two sons one of whom Jacob lives with Asperger’s Syndrome; an autism spectrum disorder that is characterized by significant difficulties in social interaction and repetitive patterns of behavior and interests. The plot is quite interesting; Jacob’s social skills tutor is found dead and Jacob’s mother can’t rule out the possibility that Jacob may have killed her due to Jacob’s preoccupation with forensic science and crime scenes. Jacob’s Asperger’s behaviors– not looking people in the eye, yes/no answers and stimulatory tic’s coupled with his kooky hobby make Jacob appear guilty to the police and prosecution team. Emma must summon all her maternal courage and finances to defend Jacob in a trial that tears through their family life and house rules. The novel has a cast of characters just as you imagine it would need. A handsome and struggling young lawyer, a brave single father town sheriff, a renegade father who left Emma and her sons when Jacob was first diagnosed. Emma is the most thoughtful character in my opinion who shows the rationale and love you would expect of a devoted mother. The novel is driven by hundreds of small chapters of each characters viewpoint which do weave together to show a well plotted driven novel. 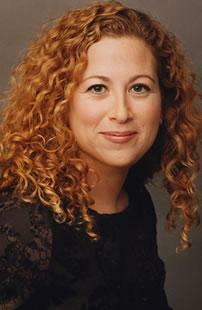 Would I read another Jodi Picoult novel? No probably not. 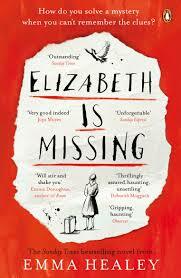 If this novel is symptomatic of her other sixteen novels it’s as if I have read them already. Although well researched it felt formulaic. Although quite compelling it felt quite empty. Jodi Picoult’s website however deserves respect, full of reading aids and book club questions it reveres the art of the novel and while her novels may not be to my taste they obviously are to millions of other readers. House Rules in Haiku: Jacob and Emma, together look for the truth, but can it be found? The American middle class has been deconstructed and it is fantastic. 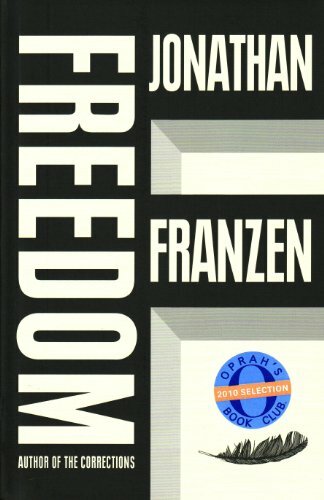 Believe what you hear about this book Jonathan Franzen’s ‘Freedom’ is a truly great state-of-the-nation, deconstruction of our times, polemic epic of a novel. The story explores the public and private life of a middle class american family ‘the Berglunds’ and is electrified with Franzen’s own interest in socio cultural issues such as the post 9/11 economy, nature conservation and overpopulation. This gives the novel it’s serious literary value and the reason why I believe it is becoming so acclaimed. When the novel opens the parents in this family saga aren’t doing well. She is drinking, he is working for a corrupt coal company and they have greatly drifted apart. Each family member has ideas of reality, entitlement, love, morality and general life expectations that mostly are disappointed. A lot of novels look at these ideas too but Franzen couples them with global issues, hot american topics and ethical conflicts (at one stage father and son, Frank and Joey, become embroiled with a Haliburten like company in a very ill-advised financial pursuit) and these coupled ideas are the tools Franzen uses to dig at and explore middle america with. The socio-cultural aspects of this novel work to create a swinging pendulum of doom that moves in time with the family’s own demise gaining weight with every swing it is a fantastic literary technique reminiscent of Ian McEwan’s ‘Solar’. This family are written in 3D every dimension of them is soaked in detail and their humanity lend’s the story its page turning compulsion. Between them they are vain, self-pitying, passive aggressive, disloyal, unfaithful, uncommunicative, hungry for love, sexually promiscuous, mercenary, angry and vulnerable. Franzen is a natural writer in showing how they are all these things only in their struggle to find meaning in a cheapened world and the reason that readers like them so much is because they are struggling. They know something is very wrong the world which they don’t accept and all of them are on the quest for transcendence in their own individual ways. 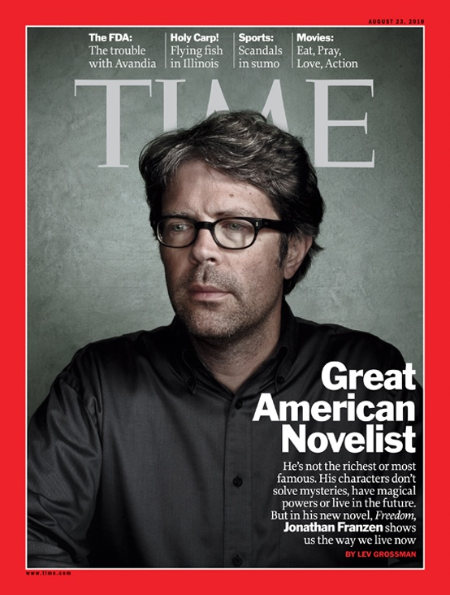 With this novel Franzen is the first author to appear on the cover of Time magazine since Stephen King did ten years ago. This is one of the most hyped novels in a long time. It is a fantastically well crafted story but so is Curtis Sittenfeld’s ‘American Wife’ and so is Ian McEwan’s ‘Solar’. 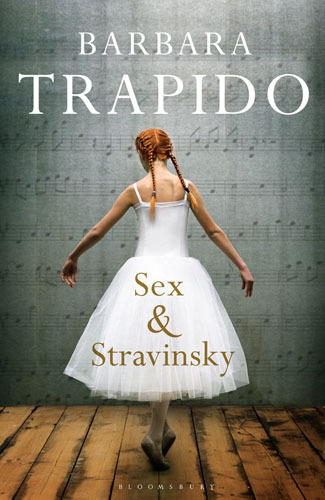 It is unfortunate that this novel has become a little overshadowed by the hype and a precocious side to the success of this novel is now showing with the New York Times describing Franzen’s own comparisons of ‘Freedom’ to ‘War and Peace’ as ‘laughably conceited’. An unbelievably well executed novel in good company with Ian McEwan, Don Delillo, Damon Galgut and Curtis Sittenfeld but I haven’t been carried away with the hype to value it as anything more than this. Haiku; Will ‘Freedom’ now be the new book club selection for Oprah Winfrey? I would as a reader generally shy away from reading memoirs and biographies as often even the most interesting stories are so heavily grounded in narrative they become disengaging. 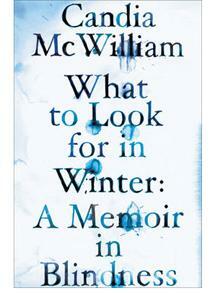 Candia McWilliams memoir ‘What to Look for in Winter’ is movingly different. She sets the narrative of her suffering at the loss of her sight against the often tragic but beguiling story of her life producing a well paced and plotted memoir. 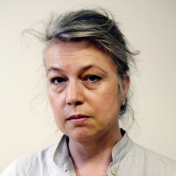 McWilliams was judging the Booker Prize in 2006 when she first began to lose her sight and when we meet her in the book she is Cambridge educated, part of the English aristocracy has been married twice once to an Earl and emerged out of these relationships with three children and a wicked drinking problem. I believe in person there is an other worldliness quality about McWilliams and a striking beauty , the same can be said about her writing. 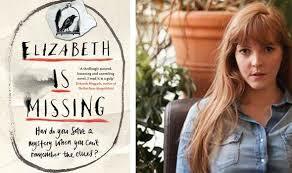 Her memoir has a detached tone when describing her experiences which mirrors McWilliams own withdrawal from the world. 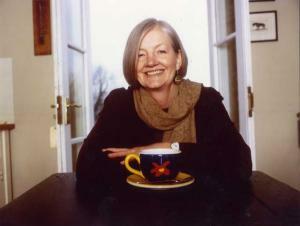 Throughout her life she gains and loses many things; husbands, homes, health, self respect….she probes each experience with her beautiful literary eye pulling together the sense of her life with the aid of a Cambridge inspired vocabulary.Her strong sense of self is paraded out through confident prose and language, meaning becomes jewelled in language. In one particularly beautiful scene McWilliams daughter asks here why she likes the royal family and her explanation encapsulates the ideology of the royal family with a very clever perspective. Her experiences at times are physical (the loss and re-gain of her sight, horrific battles with alcohol), at times they are heavily emotional self-destructive, ugly, romantic, poignant but the eye with which McWilliams looks at her own life with is so probing that all these experiences and battles with herself are beautiful because they are self aw are. It is with deep self-awareness this memoir is written and that’s what sets it apart from the others. That and the extraordinary life McWilliams has so far led. One reviewer of McWilliams describes her like ‘a northern princess gazing out of a cold castle onto icicles and pale eyed wolves’ and this is truly apt. Haiku: Candia’s language, shiny diamonds in the dark, luminescent life. 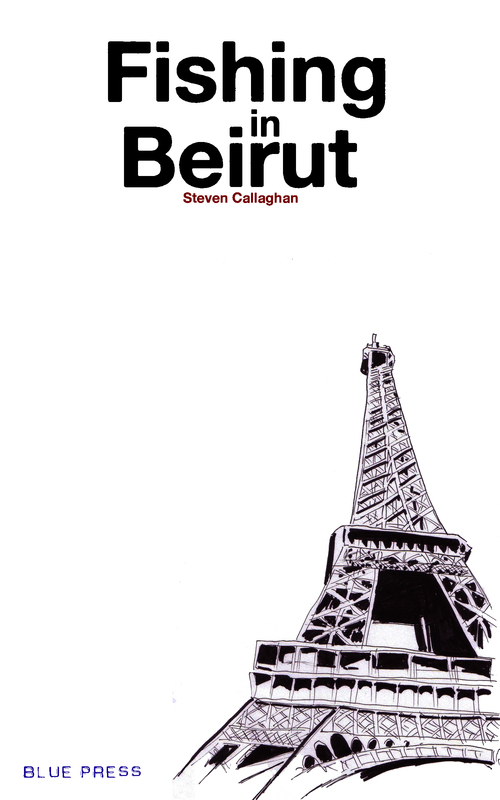 ‘Fishing in Beirut’ Steven Callaghan, Blue Press, September 2010. Whoever said Irish writing and the Irish Publishing industry is in decline hasn’t read Fishing in Beirut. I say this for two reasons. 1. Steven Callaghan is a super brand new Irish voice in writing and 2. This novel is being published, serialized, online. Fishing in Beirut is an ambitious novel which delivers on many levels and the serialization of this story, online, is one of the most original ways I have encountered a novel. It is the story of five modern characters living in Paris. It has tangible descriptions of Paris, iconic landmarks we all know mixed in with gritty characters that reveal, through their stories, the underbelly of Parisian life that also exists. It is made up of short scenes, beautiful and sometimes poignant literary sentences that you will want to linger over. Each scene and character portrait is full of promise and you feel a culmination building the deeper you go into the novel. Callaghan’s writing is a reward in itself but is balanced with very humanly drawn out characters which makes this literary debut also a compelling page turner. What I especially loved about this novel was the Hemmingway reminiscent food descriptions which often made me hungry. With a new scene released every day I have found myself eagerly logging on. Forget the e-reader or the kindle; online publishing is clearly where it’s at. If this novel is heralding in a new era in contemporary Irish literary fiction, I for one am in. Is romantic Ireland dead and gone? No way…not with the click of your mouse!